Benjamins are pleased to bring to market this beautifully presented fully refurbished three bedroom detached home on Wolds Drive in Keyworth. 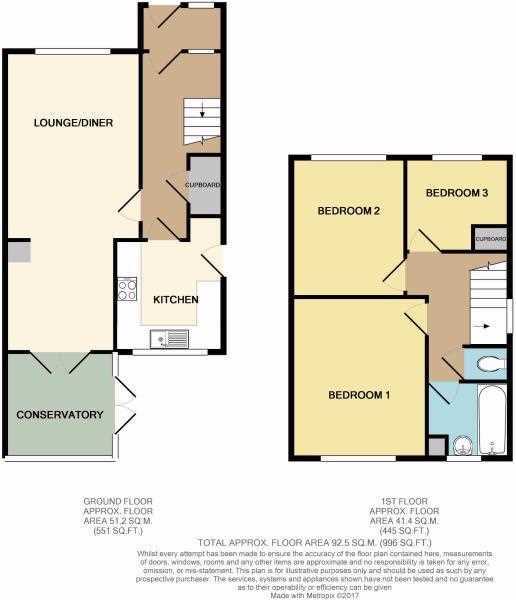 Completely move in ready with all new carpets & floorings throughout. 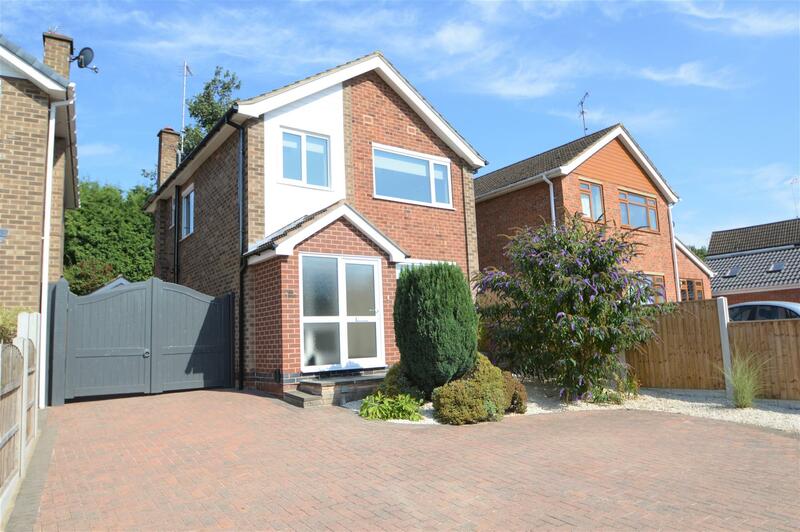 The property briefly comprises: Entrance porch, hallway, Open Plan Living / Dining Room, Kitchen, Conservatory, Three bedrooms, Family Bathroom with Separate WC, Large Rear Garden, Garage, Block Paved Driveway to the Front & Side. The village has highly regarded schools in South Wolds Academy & Sixth Form within a few minutes walk away, Crossdale Primary School, Keyworth Primary & Nursery School, and Willow Brook Primary School. Viewing highly recommended. To arrange a viewing please call Benjamins Sales on 0115 9371713. UPVC double glazed front door with glass side panel into porch with light & tiled flooring. Door into entrance hallway. Entrance hallway with stairs up to the first floor landing, laminate flooring, radiator, doors into kitchen & living room. UPVC double glazed window to the front aspect, open plan living area through to a dining area to the rear with double doors into the conservatory, radiator, ceiling light fittings & wall lights & new carpets. A brick built conservatory having double glazed windows and a wall mounted electric heater. Double doors out onto the rear garden. The kitchen has a range of modern units, laminate worktop, stainless steel sink and drainer with a mixer tap, integrated oven with gas hob & extractor fan over. Plumbing for washing machine & space for tumble drier, wall mounted boiler, large window to the rear aspect and external UPVC door to the side. UPVC double glazed window to the side aspect, access to loft via hatch, doors to bathroom, separate toilet & three bedrooms. UPVC double glazed window to the rear aspect, ceiling light point and radiator. UPVC double glazed window to the front aspect, ceiling light point and radiator. UPVC double glazed window to the front aspect, radiator, ceiling light point, bulk head for stairs. Modern fully tiled bathroom, hand wash basin with mixer tap, bath with shower over, chrome towel radiator, UPVC double glazed window to the rear aspect. UPVC double glazed window the side aspect & WC. At the front of the house is a large block paved driveway with planted beds, shrubs and trees. There are sturdy wooden gates which give access to further parking at the side of the house and the detached garage. The rear garden is split level and is mainly lawned and has a retaining wall with built in steps and conifers at the rear.